KNOW THYSELF: Another Epic Guest Post from Our Favorite ManHeifer, Brett — Run, Heifer, Run! As I stride pensively towards what I now believe be a brighter future (one where I feel in control) I think perhaps for the first time I truly know myself. Now, according to many learned scholars and particularly those who adhere to the view that it was apparently chiselled into the forecourt of the Temple of Apollo at Delphi to embrace ‘Know Thyself,’ could put one in a serious philosophical muddle. Forgive me if I don’t go down that route but keep things a little more down to earth. Recently I’ve realised an unexpected benefit on my personal journey is that I’m really beginning to know what values I hold dear and, perhaps more importantly, what values and beliefs drive my decisions. But why is this important? I recently had a conversation with a friend who firmly believed he was ‘his own man’ and that all his decisions were his own. The conversation went to advertising and the influence packaging, product placement, point of sale, store design etc all have on our purchase decisions. He truly believed the hundreds of messages we are bombarded with daily had no effect on him whatsoever. If this is true, I am sorely impressed. Retail oriented decisions alone are, according to some, insignificant compared to ‘real’ decisions. Although any runner will know buying the wrong trainers can be an expensive and painful experience. Yes, we have to take many things into account before we make decisions. Often these are subconscious, automatic, embedded due to simple forces of nature. Crossing the road at the wrong time could be disastrous yet the vast majority of the time we make the right decision. Unfortunately our decisions are often not our own but shaped and aligned by belief systems. If our decisions are aligned to our beliefs and values what if they are not our own but imposed? My father’s belief systems were evidently passed on from his father and he passed those beliefs on to me. My father didn’t consider taking part as being a viable option in sport, he didn’t consider being overweight as being in any way healthy or for that matter acceptable. He valued nice cars, holidays, a nice house, a good job. If you had these things you were a ‘better’ person. How somebody felt didn’t really come into it. My brother, for example, turned his back on a career he appeared to truly enjoy to go into the more lucrative sales arena. A decision I’ve never truly understood. My father’s beliefs extended to providing for his family, irrespective of the cost. Growing up in a traditional south London family his attitudes towards ethnic minorities was also questionable. As a relatively young age I realised many of the values my father held were not my own. But, at the time I was also trying desperately to get my father to like me. I was torn between what I wanted and what I thought I needed to do to build a relationship with him because, after all, that’s what you should do, right? Somewhere in the middle I got lost. 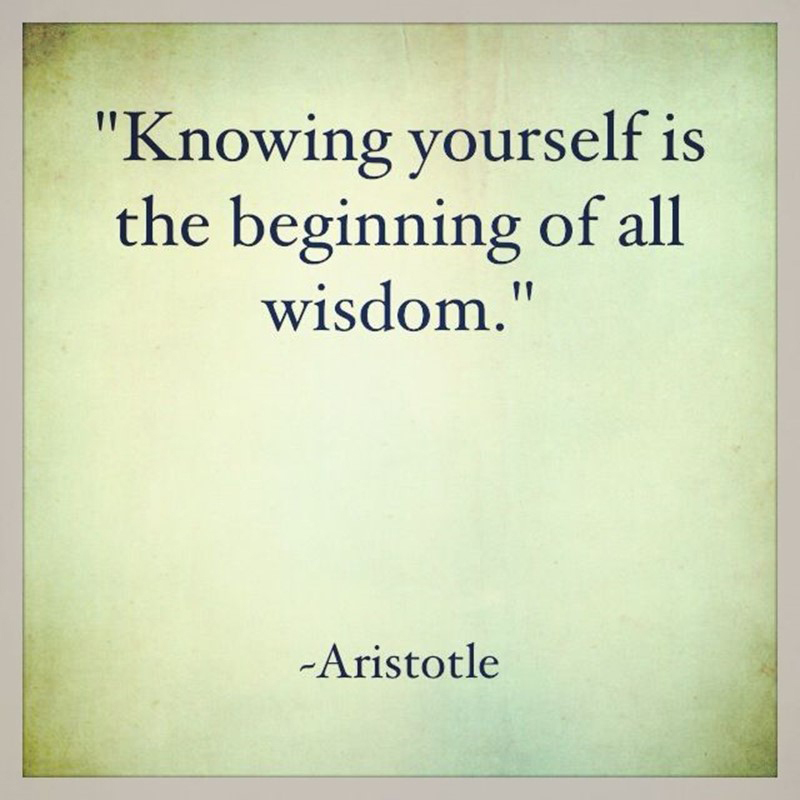 Knowing thyself can be incredibly tricky. Here I think I see the serious philosophical muddle. However, a little bit of enlightenment can go an awfully long way and to know thyself is surely to truly accept thyself and to truly accept thyself is to love thyself and that, for me, is why I can step into a room now and not be looking for the exits, not be planning the ‘I’m sorry I just need to pop to the toilet’ to mop my brow. I’m going to a friend’s 40th birthday party on Saturday night. An experience that would normally leave me in tatters, checking for exits. But this party already feels altogether different. I will be going totally and utterly as me. Hello world, it’s nice to meet you, allow me to introduce thyself.